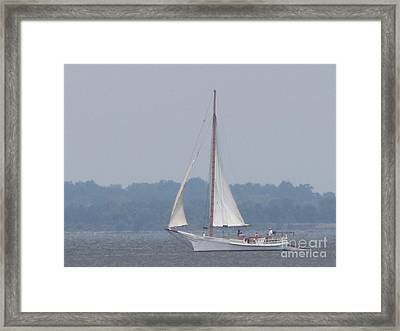 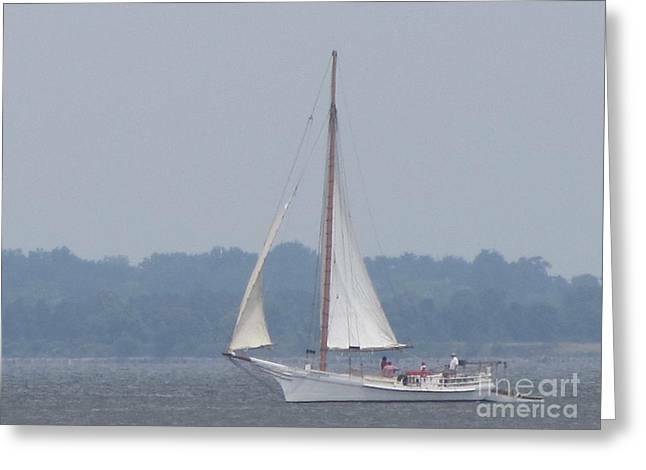 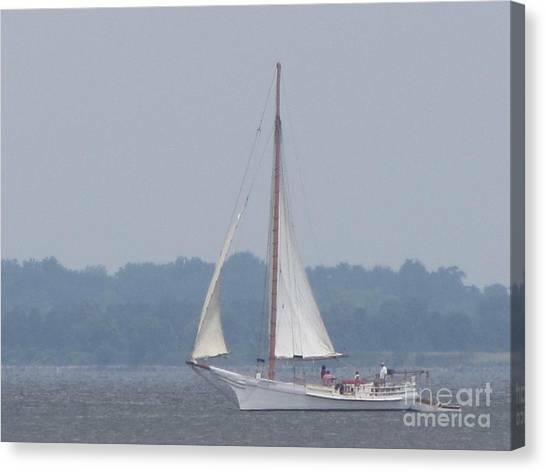 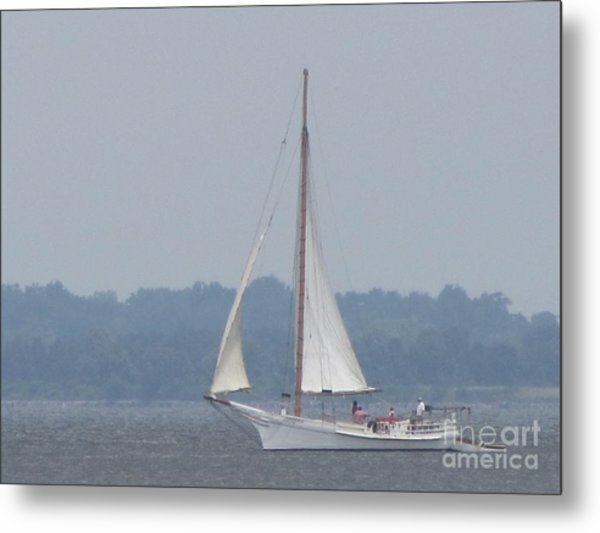 Skipjack On The Bay is a photograph by Debbie Nester which was uploaded on September 30th, 2013. 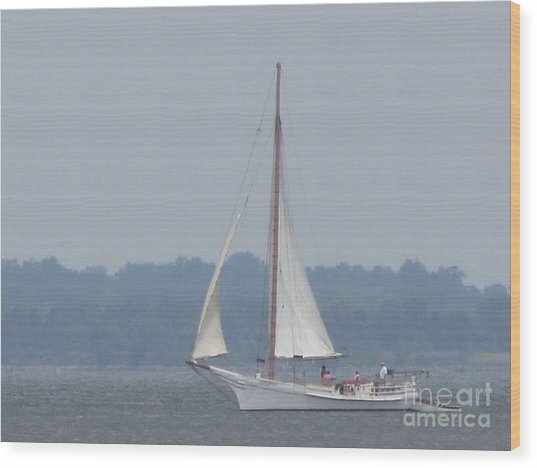 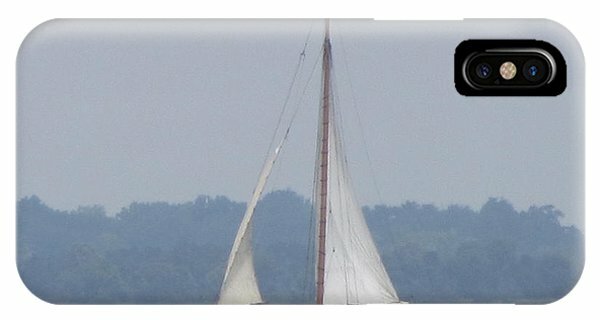 An unexected sight, his beautiful Skipjack, though not "The Nathan" (Skipjack Nathan of Dorchester that I did the Oil Painting of), was beautiful watching as it cruised up the Chesapeake Bay and then turned, closing it's full Mast as it did so. 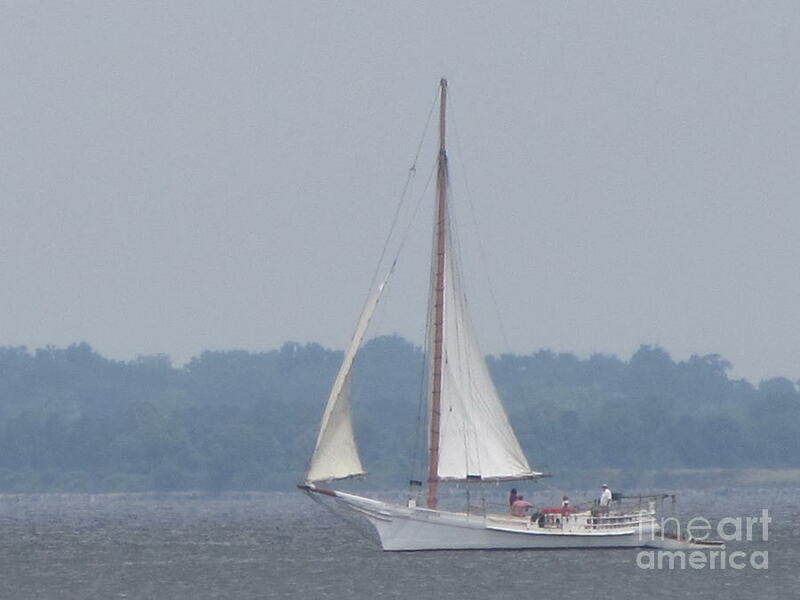 No name shows on the side of this Skipjack, so I don't know which one it is. 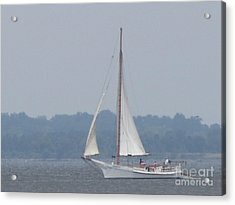 If you do, please write a comment, letting me know what it is. That's the H. M. Krentz out of St. Michaels, MD.